I love making fudge, I’ve always found it to be really easy to make and of course delicious too! 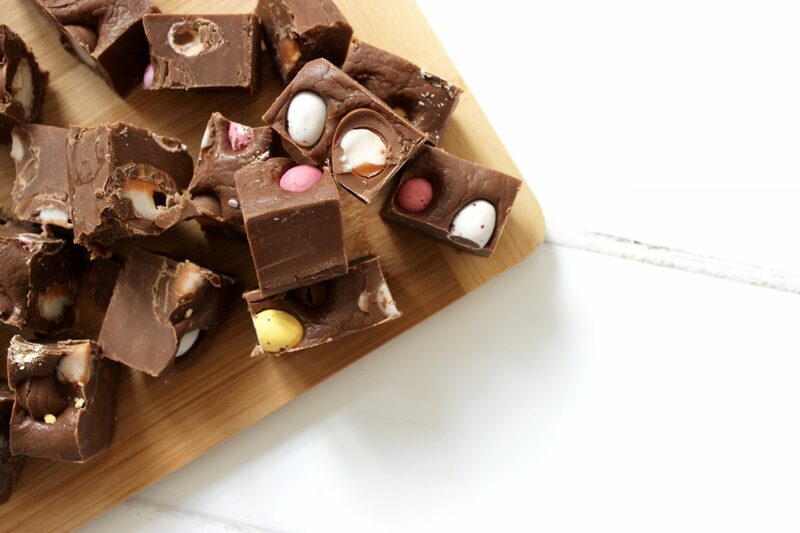 There are so many variations that you can make but with Easter just around the corner I thought I would have a go at Easter fudge! 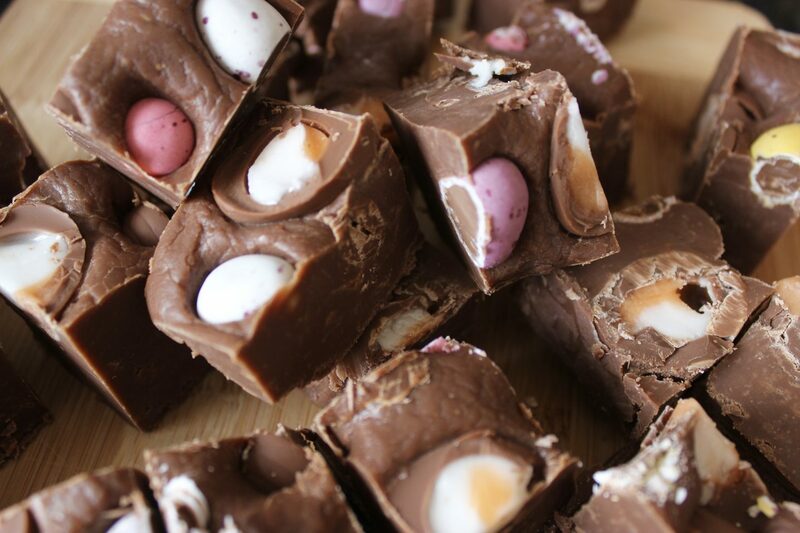 My Easter fudge is a milk chocolate fudge loaded with creme eggs and mini eggs, yum! I have always made my fudge in the slow cooker but I realise that not everyone has a slow cooker, so I have also included the instructions for microwave fudge in this post. Turn your slower cooker on to the low setting. Put the condensed milk, butter, vanilla essence and chocolate (broken up) into your slow cooker. Stir the fudge every 15 minutes for an hour, without the lid on. Line a tin or dish with tin foil and then pour your fudge mixture in. 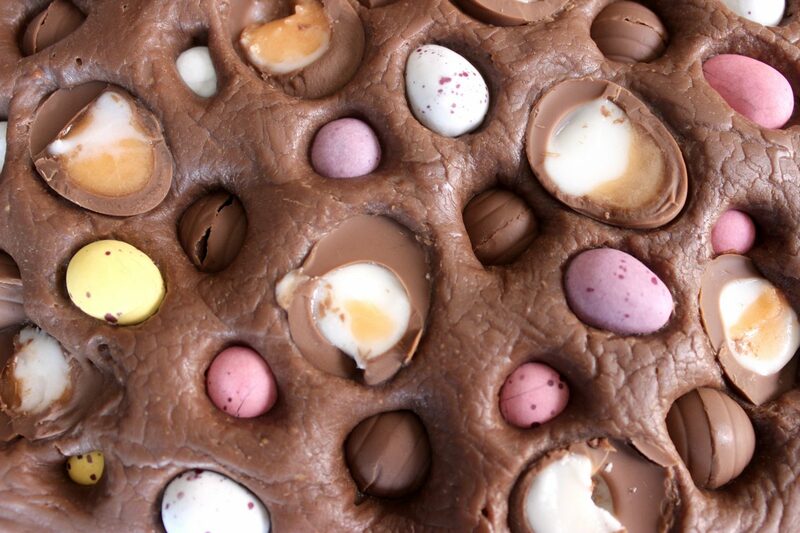 Decorate your fudge with your mini eggs and creme eggs. I put some in the fudge and also cut some creme eggs in half and put them on top. Once cooled, pop in the fridge until set (I leave mine over night) and then chop up into pieces. Place all of your ingredients into a microwaveable bowl. Melt in the microwave until smooth, this should take around 5 minutes but make sure you stop and stir regularly. Pour the fudge mixture into a foil lined dish. 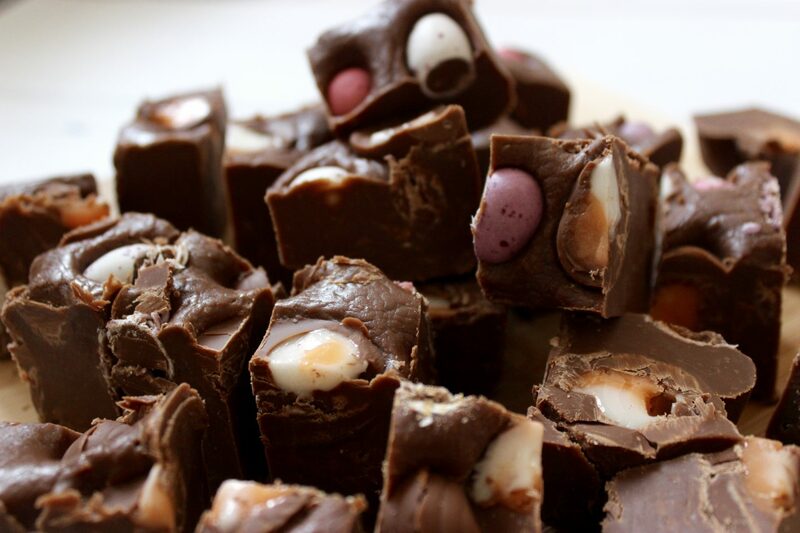 Decorate with your mini eggs and creme eggs. Once cool, place in the fridge over night. I’m really pleased with how this turned out and it’s been a big hit with the children. Do let me know if you attempt to make this, I would love to see how it turned out! Check out my previous fudge recipes – unicorn fudge and Valentine’s fudge. That looks so delicious!! And I’m so glad to see how simple the recipe and instructions are! I don’t enjoy cooking at all but pretty sure I can handle that for such a tasty reward. Thanks for sharing it ? Ohh! Yum! This looks so good! It sounds so simple to make too. This looks delicious! 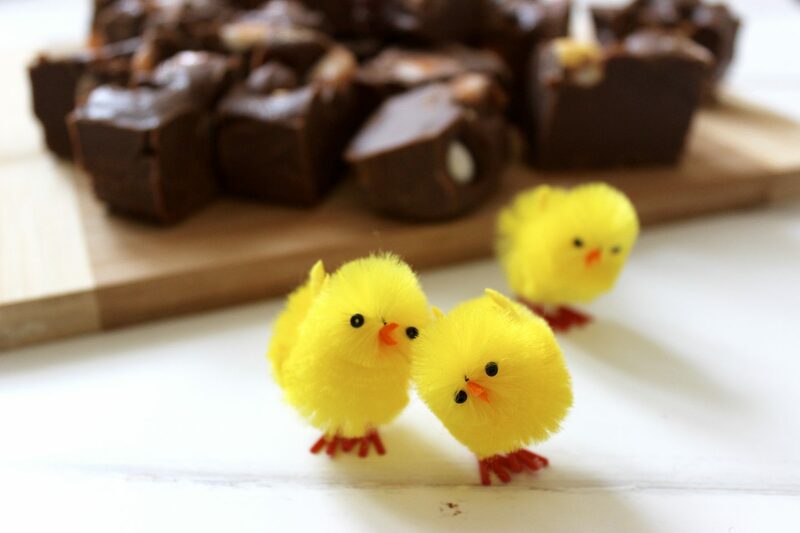 I can’t imagine 2 of my favorites combined – fudge and cream filled eggs. Thanks for sharing!